Sometimes a real-life drama is so twisty, it’s hard to believe it’s true. The disappearance of Lord Lucan has a little bit of everything: a fall from grace, shocking violence, aristocratic celebrity and a mystery that endures to this day. No wonder someone wanted to dramatize it for television. ITV has released the first trailer for Lucan, a new two-part series about the infamous aristocrat. It stars The Hollow Crown’s Rory Kinnear in the title role, buffered by an impressive cast that includes Doctor Who’s Christopher Eccleston and Harry Potter’s Michael Gambon. For those of you who are unfamiliar with the story of Lord Lucan, it goes like this: Richard John Bingham, 7th Earl of Lucan, was a tremendous gambler, who had a bit of a breakdown after his marriage collapsed and he lost custody of his children. In late 1974, an attacker arrived at the home of Lucan’s estranged wife, killed family nanny Sandra Rivett with a lead pipe and assaulted Lady Lucan herself. She managed to escape to a nearby pub and get help, but in the aftermath of the incident, it became clear that Lord Lucan had vanished. No one knows where Lord Lucan went that night, or what happened to him afterward. Plenty of people claimed to have seen him in the years following his disappearance, but nothing was ever conclusive. He was officially declared dead in 1999, but, the mystery surrounding his disappearance continues to linger in the public’s imagination. Kinnear plays the flamboyant aristocrat Lucan, while Eccleston stars as his friend and famed gambling club host John Aspinall. 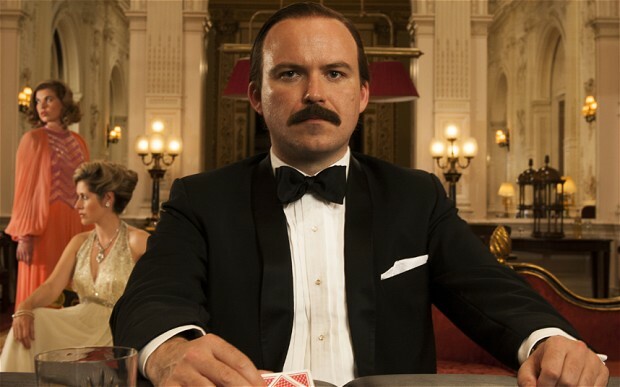 The drama is written by Mrs. Biggs’ Jeff Pope and is largely based on a book by John Pearson called The Gamblers, which suggests that some of Lord Lucan’s friends in Mayfair’s infamous Clermont Club helped Lucan escape, including Sir James Goldsmith and Aspinall himself. Lucan premieres this December on UK network ITV. No word on whether or not the drama will make its way Stateside, though as an Eccleston fan I certainly hope so. Fingers crossed! Have you heard of the story of Lord Lucan before? Is this a drama you’d like to see? BBC 2 and Amazon teamed up for the latest adaptation of Shakespeare's King Lear, starring Anthony Hopkins as the famous king.